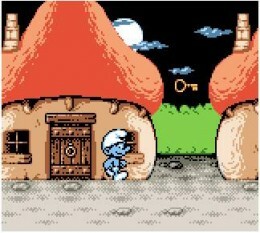 Yeah, we’re doing this – a history of Smurf games. Don’t go rolling your eyes just yet though, as there’s a little bit of history to be had here. One of these games was seen as a ‘killer app’ upon release, quite a few ended up on a big blue scrapheap and some can fetch a fair bit of money. Slightly more intrigued now? Good. When the term ‘killer app’ is used we tend think along the lines of Halo, Mario 64 and Grand Theft Auto III. With these blockbusters in mind it’s hard to imagine that the ColecoVision’s system seller starred the Smurfs. Known simply as ‘Smurf Rescue’ on the title screen, the 2D platformer looked leagues better than the likes of Super Breakout, which was what Atari was using at the time to show off the Atari 5200. Consequently, the Smurfs helped to shift a fair few systems. The first obstacle the humble Smurf faced when venturing out from his mushroom house to save Smurfette wasn’t an enemy but a fence. An everyday, white picket fence. Then came another fence, followed by a river, and a cave which lead to Gargamel’s castle. Once Smurfette had been rescued a few enemies were added – a snake, a bat and a crow. As the game looped back around, these started moving quicker thus becoming harder to avoid. 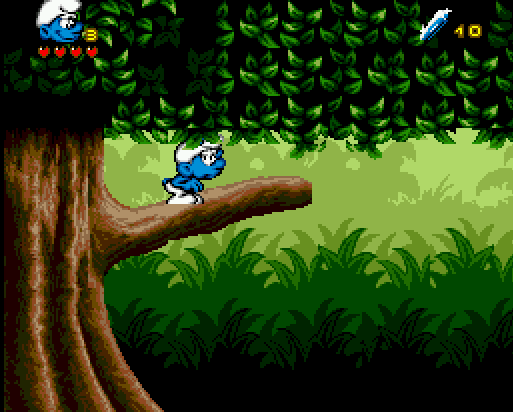 This was a task made trickier than it needed to be due to a obscure jumping system – the Smurf could be made to do a short jump, or a long jump, with the latter requiring both luck and skill to pull off. 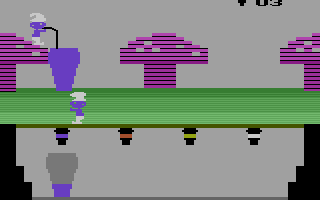 Coleco did eventually release an Atari 2600 version, and with noticeably poorer visuals. Although the Atari 2600 wasn’t as powerful of the ColecoVision, it has been said in the past that Coleco did purposely ‘downgrade’ their Atari 2600 conversions to make their own system seem far superior. 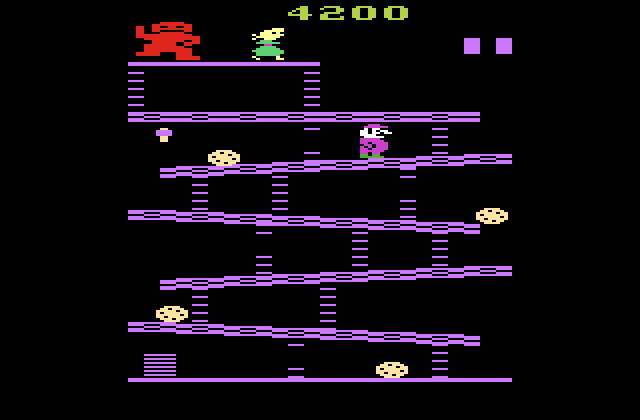 Donkey Kong is another good example – the barrels looked more like cookies, while Donkey Kong himself was drawn in a comically poor manner. Coleco dished up a second Smurf game a year later. This one is popular with Atari 2600 collectors as it came with the KidVid Voice Module – tape deck that plugged into the second controller port. Also included were three tapes. And with a clap of thunder, the talking videogame was born. An educational package with no time-limits or penalties, it saw Harmony Smurf, Handy Smurf and Greedy Smurf teach ‘80s kids shapes, colours and sounds. 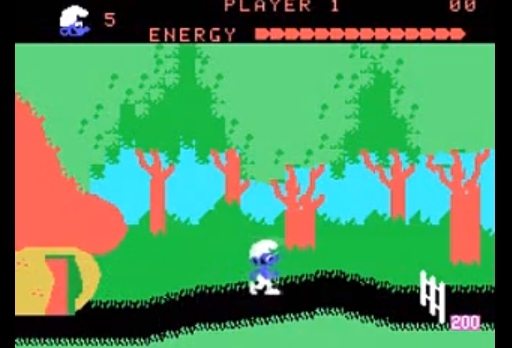 The ColecoVision was set to receive its own educational game in the form of Smurf Play & Learn, but despite being mentioned on promotional advertising it failed to surface. Only one other KidVid game was released – a platformer starring the Berenstain Bears and their righteous Christian values. 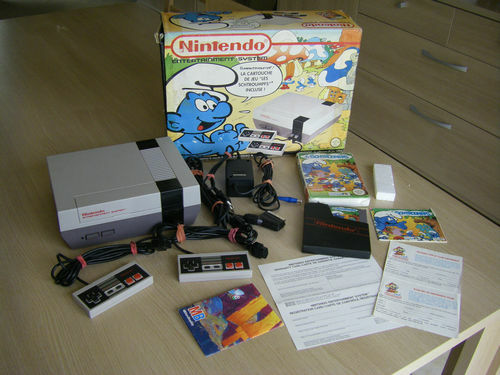 Another year, another Smurf game by Coleco. They certainly got their money’s worth out of the license. As the title suggests, this was another educational game. Well, as education as an art-package can be. The idea here was that you picked one of four backdrops and then added various objects, such as furniture and text. Once your creation was finished one of the Smurfs could then be dropped into your masterpiece. Budding decorators could sit back and marvel at the Smurfs walking and jumping around their handiwork. Presumably by 1984 standards this was high quality entertainment. With no save ability, creations were obliterated from existence as soon as the power was switched off, no doubt causing a few tears before bedtime. Ten years passed until the next Smurf game, which can probably be attributed to the videogame market crash. The cartoon series also had a sharp decline in popularity when NBC chose to give it a revamp by taking the Smurfs out of their forest homestead. It was a bizarre decision which ultimately lead to it being cancelled in 1989. With an eight year run behind it, it was one of Hanna-Barbera Productions’ most successful cartoons ever. Come 1994, the license had a new home. French publisher Infogrames now owned the rights to the blue Belgium beings. Like Coleco before them, they milked it for all it was worth – if we include versions on different systems, the total stands at 18 games. Nintendo must have taken notice of the game’s quality as it was bundled with the NES for a brief period in France. This pack is both rare and desirable to collectors, with one ending on eBay recently for a small fortune. Sticking with eBay for a moment, retailers must have overestimated demand for the Game Gear version as new and unplayed copies are a common sight on the auction service. Sega Power awarded it a not too shabby 71%. The Mega CD version featured an animated intro. Out of all the versions, this one is the hardest to find and can cost a lot to acquire. In 2002 the SNES version was dusted off for the Game Boy Advance where it was curiously renamed as The Revenge of The Smurfs. You wouldn’t think a peaceful race would go seeking revenge, would you? A little bit of history, now. The Smurfs Travel the World – sometimes lazily referred to as The Smurfs 2 – was the last ever Master System release in Europe, making an appearance in very limited numbers in 1996. So few copies were produced that its existence wasn’t known until around 2000 when a collector found a copy in a Czech game store and then shared photos of his discovery online. He purchased two copies for €0.50 – literally pence. Since then a few more copies have surfaced on eBay, with auctions usually ending at around the £300 mark. The Game Gear version is hard to find also, but not quite as rare as its Master System counterpart. The SNES and Mega Drive versions meanwhile can be had for around £10-£20. 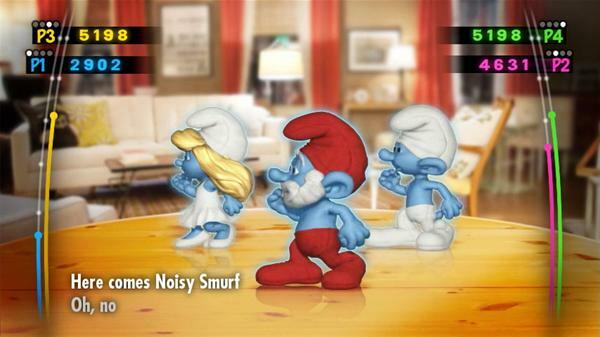 This semi-sequel added Smurfette as a playable character and was less linear – levels featured a number of stars to find and collect. It’s not a bad little game, but not a patch on Sonic, Mario or the majority of Disney titles released around the same time. Infogrames then waited three years to give the world the first 3D Smurf game – a mid-life PSone platformer, yet again simply called The Smurfs. An N64 version was rumoured but never materialised. Not a great loss seeing as it was far from being a classic. The frustrating thing is that it could have been passable if the controls were more responsive. Press the jump button and there was a two second or so delay, which led to many unfair deaths. We aren’t coding masterminds, but we can’t imagine that it would have taken long for the developers to have resolved this. Infogrames’ next Smurf spin-off fared immeasurably better. Reviews were glowing, in fact, heralding it as one of the Game Boy Color’s best platformers. IGN’s review is still up, where it was given an 8.0. Shortly after its release, bootleggers cheekily took the game and altered it to create a Pokemon platformer featuring Pikachu entailed Pocket Monsters Go! Go! They put more effort into it than most bootleggers do – Pikachu was surprisingly well animated. The plot for this one is different to the usual ‘Smurffete has been captured by Gargamel again’ affair. 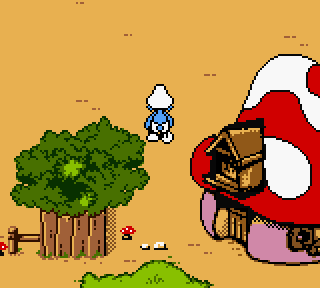 To wit: in this top-down Game Boy Color-exclusive, the Smurfs have started to turn orange. As Handy Smurf, you had to travel 16 different worlds to find parts for a machine to turn them back to their usual blue selves. 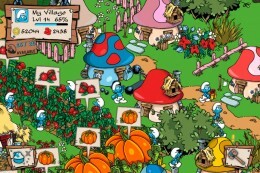 Infogrames dabbled with the idea of a top-down Smurfs game beforehand with the cancelled The Smurfs Adventure, which would have featured much smaller sprites and a similar graphic style to Zelda. Subtitled ‘My First Racing Game’, this Smurf kart racer was understandably on the easy side. The Official PlayStation Magazine gave it a resounding 1/10, which does seem a little harsh. 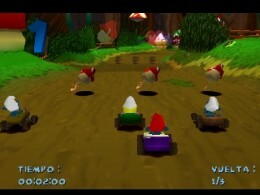 Then again, the PSone did have the very good Speed Freaks and Crash Team Racing already. Smurf Racer was the US name – elsewhere in the world it was known as 3, 2, 1 Smurf. We think we like the latter name more. With 56 million downloads, and at one point knocking Angry Birds off the top-grossing list on the App Store, there’s no way we couldn’t give this mobile village builder a mention. The first thing that hits you when playing is how nice it looks – the art direction has been kept faithful to Peyo’s original designs. With the CGI movie around the corner at the time, we’re glad Capcom didn’t try and mimic the art-style of that and turn it into some type of tie-in. That may have been because Ubisoft had the rights to the movie, mind. 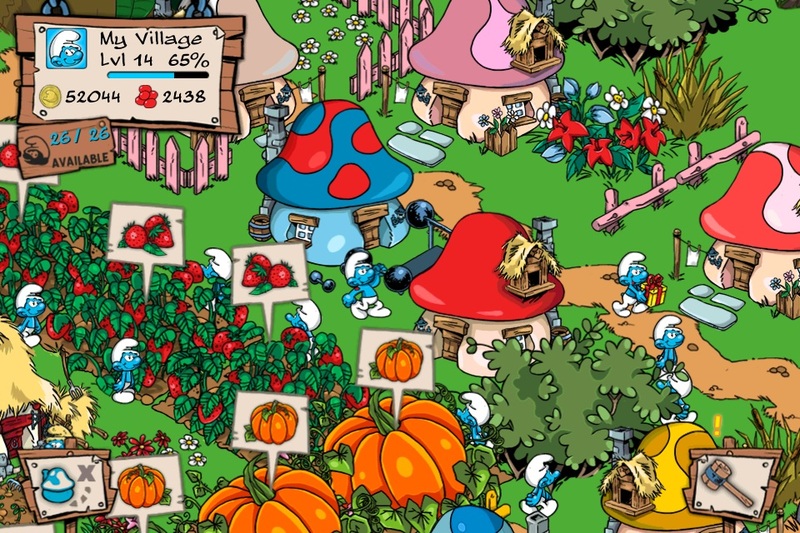 Most of the Smurfs’ Village press coverage stems not from the fact that building a village can be quite addictive, but rather from how outrageous some of the in-app transactions are. Stories such as this one about a child spending over $1,400 on transactions were incredibly frequent upon the game’s release. Ubisoft’s movie tie-ins were released simultaneously – the DS received a mini-game package while the Wii was bestowed with a Just Dance-style Smurf raver. Could there ever be anything more casual than a dancing game based on a kids’ movie? Nintendo Gamer dished out a sorry 27% for the Wii iteration, claiming that they “wished it hadn’t been invented,” while the DS version gained 28%. “Ideally suited for very young children with short attention spans, but woefully short.” Good to see Ubisoft tried to break movie tie-in convention there. The two must have sold well as Ubisoft snapped up the rights for the upcoming The Smurfs 2, this time leaping onto half-a-dozen formats. We can’t imagine the Xbox 360 version selling that well at all. Or even the Wii U version, for that matter. A 2D platformer by WayFoward, it looks uncannily similar to the New Super Mario Bros. series. Right, that’s your lot. Now Smurf off.